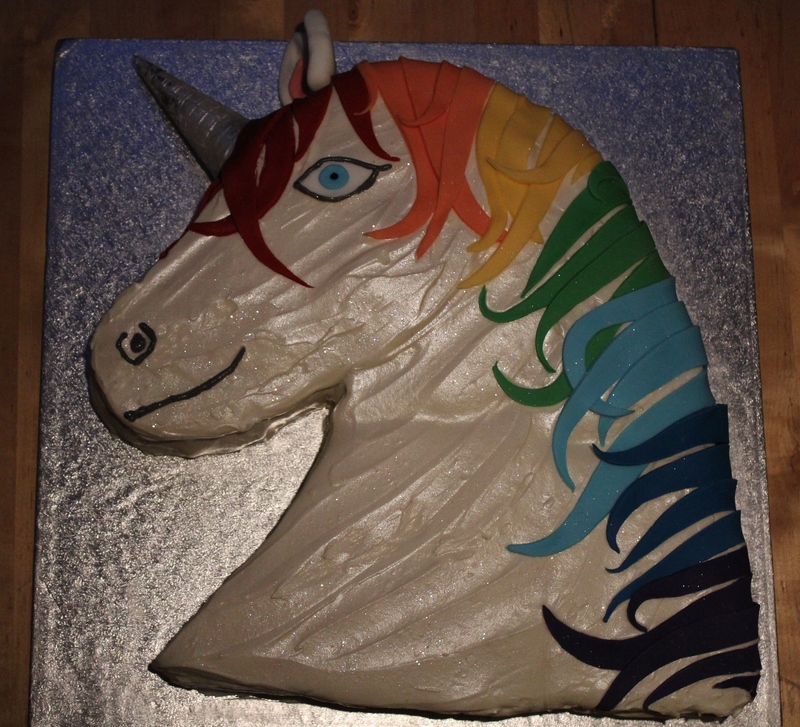 Not just a unicorn rainbow cake, but a sparkly rainbow unicorn cake! 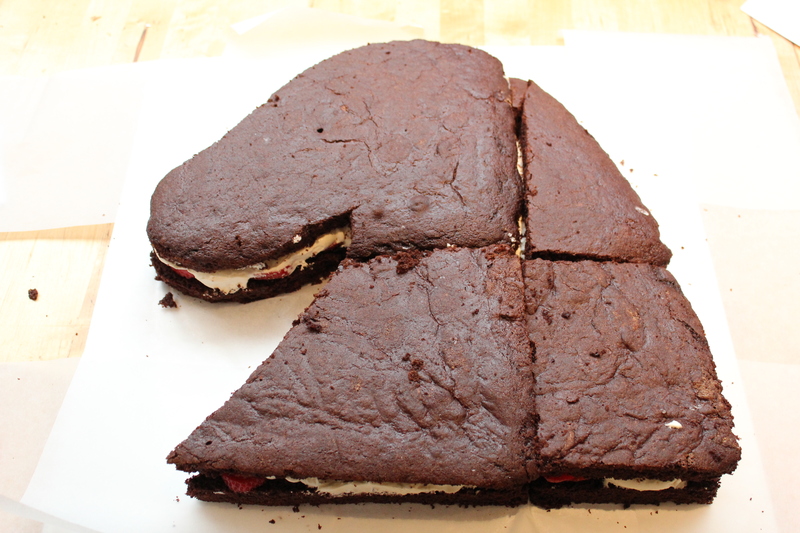 This cake was made to celebrate a birthday and was made from yummy chocolate fudge cake, and filled with strawberries and cream. 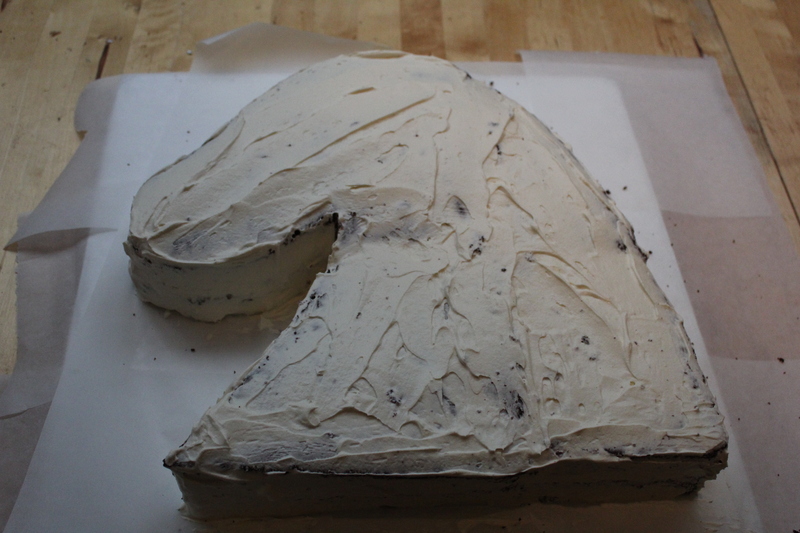 The frosting was a cream cheese frosting and the decorations made from fondant. OK. 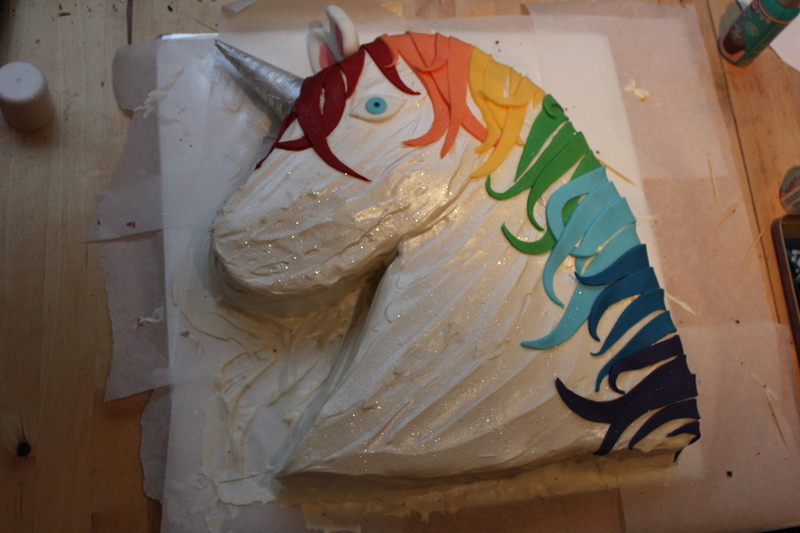 So the cake is kinda starting to look like a unicorn. 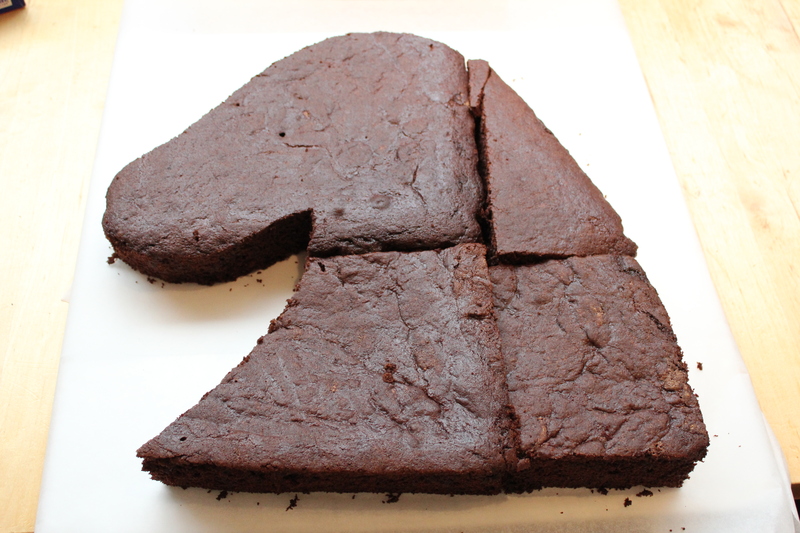 Next time I will make a smaller cake, and try to make it just out of two pieces. 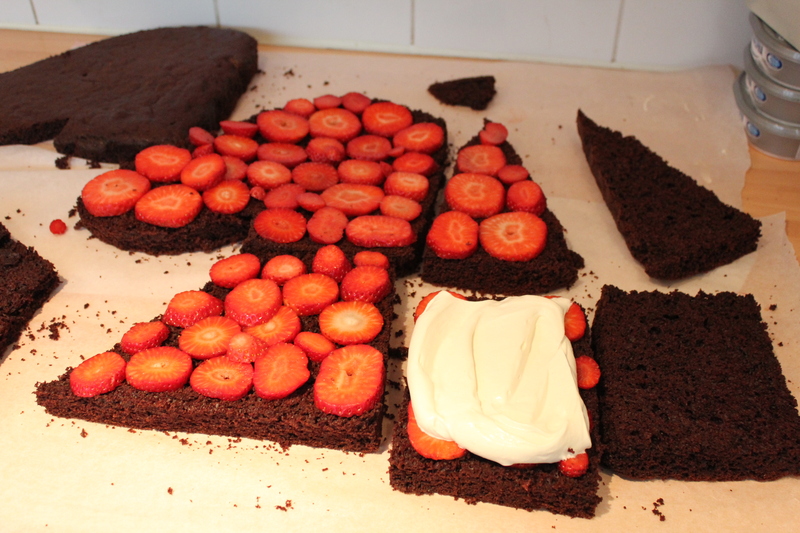 Next I cut each piece in half, and added sliced strawberries and whipped cream. 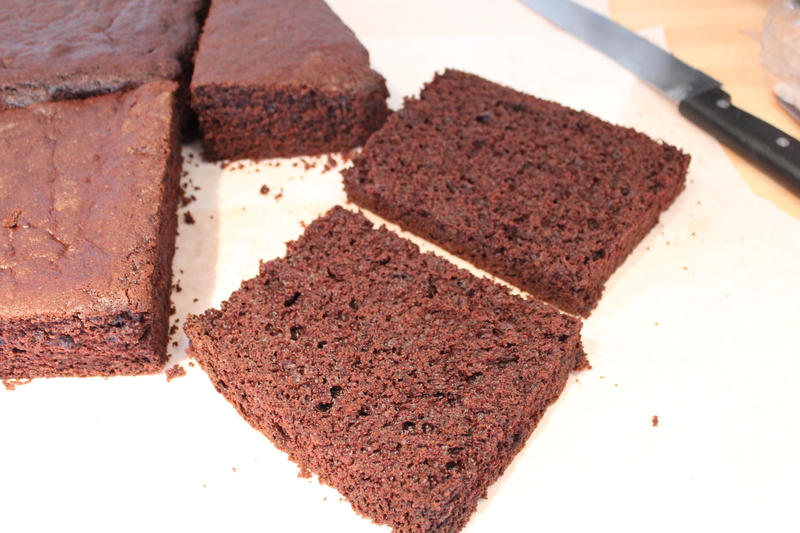 I think this kind of filling makes a dense chocolate fudge cake nice and fresh. Once the filling was in place I crumbed the whole cake. 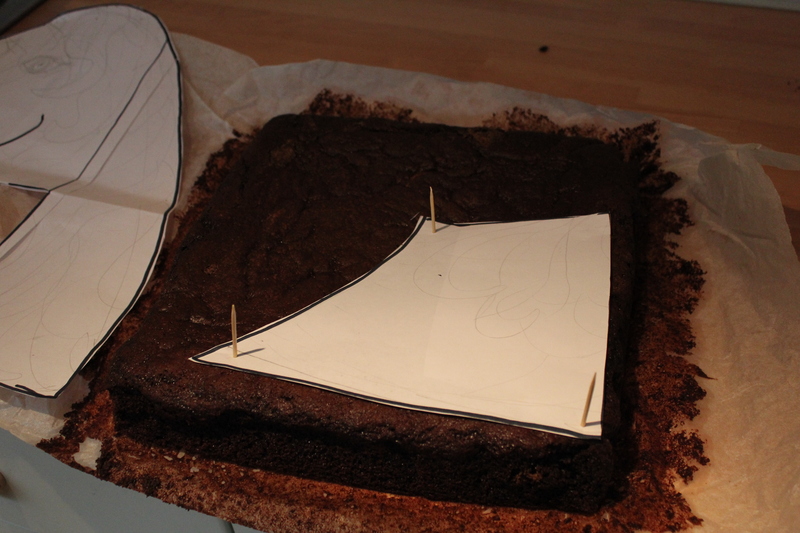 You can’t see in the picture above, but I laid down four thin strips of baking paper down each side of the cake board. 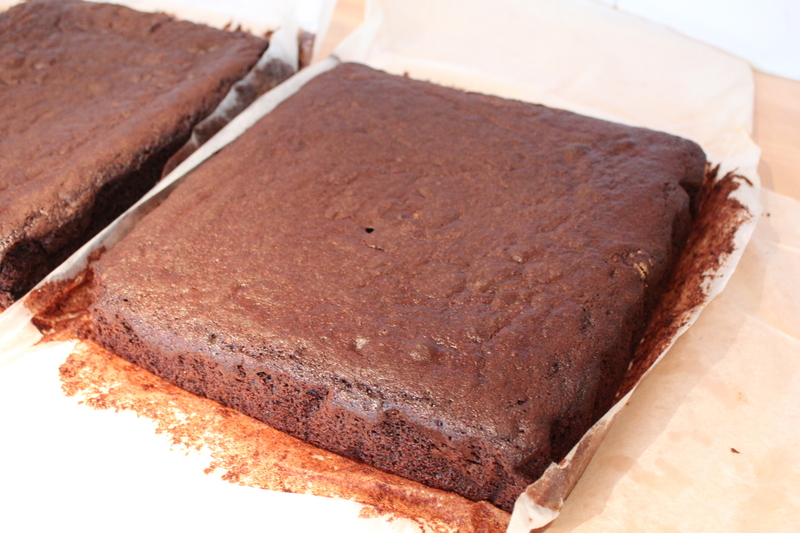 This will catch any crumbs and drips, and can be easily slid from under the cake at the end for a nice, clean finish. I crumbed the cake really well, and I used the leftover whipped cream. 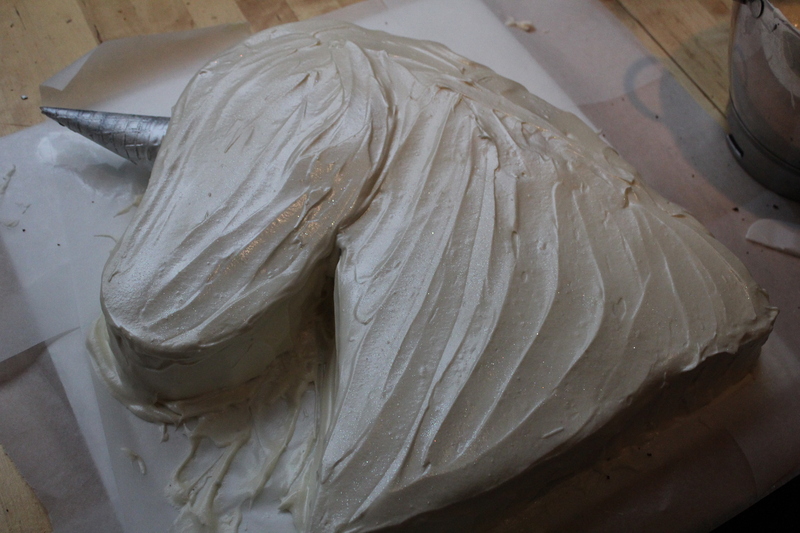 Then I frosted him with cream cheese frosting. You can find the recipe here and it will open in a new window. The eye I made from white and blue fondant, and I sprayed an ice cream cone with edible silver spray. 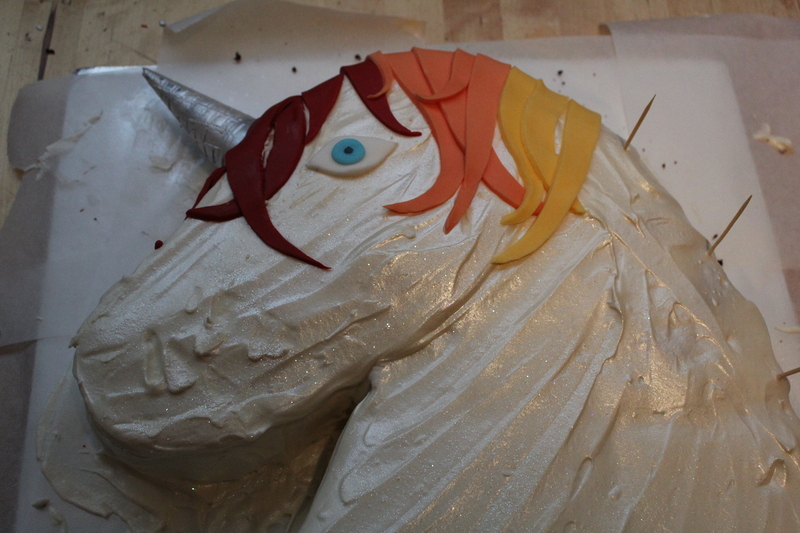 Then I began to cut strips of rolled colored fondant and stuck them on from the base over the unicorn cake for the mane. You can see I measured out seven even spaces with toothpicks so I know how much of each color to add. 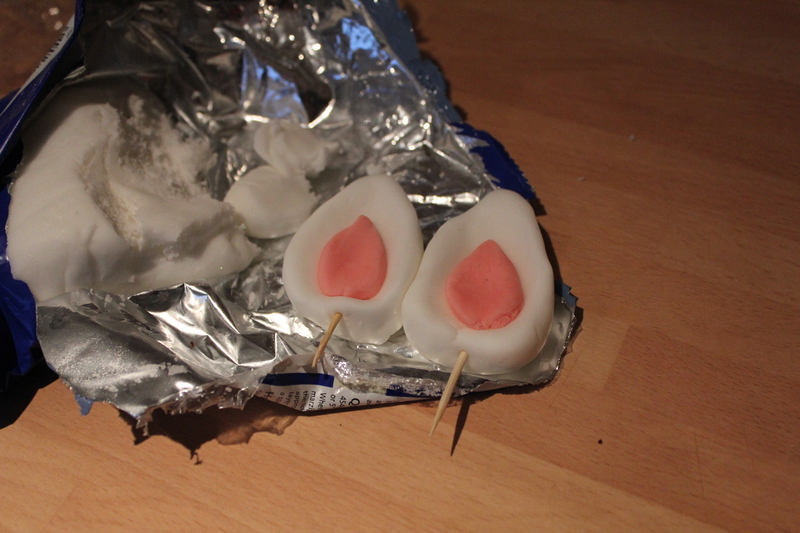 And then I moulded the ears out of white and pink fondant. I stuck the ears into the cake with toothpicks. I used an edible pearl glitter spray over the frosting, and then some more edible glitter was sprinkled all over the cake. 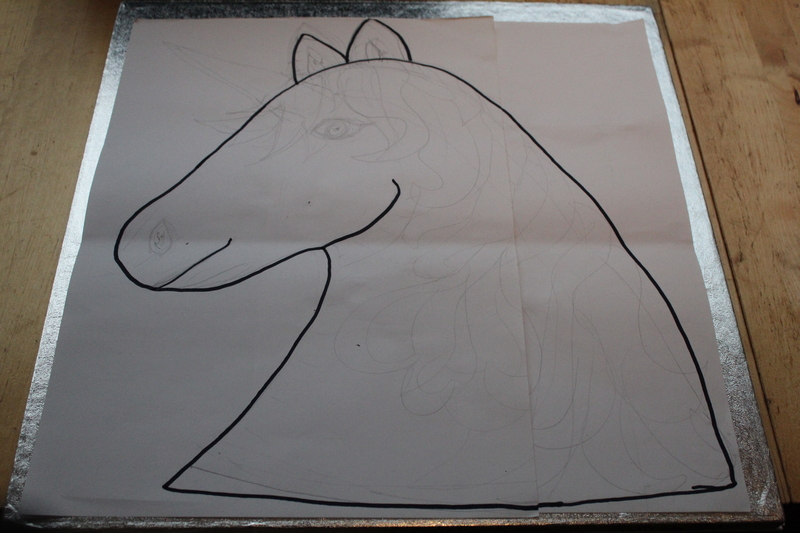 You can see the unicorn is a little bit sparkly in the photos – much better in real life. 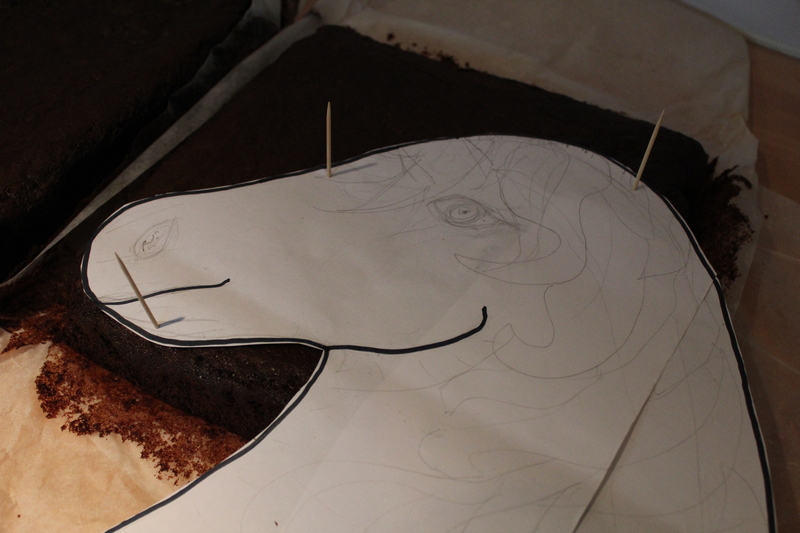 To add the finishing touches I made some dark grey piping icing and added the mouth, nose and piped the lines around his eyes. 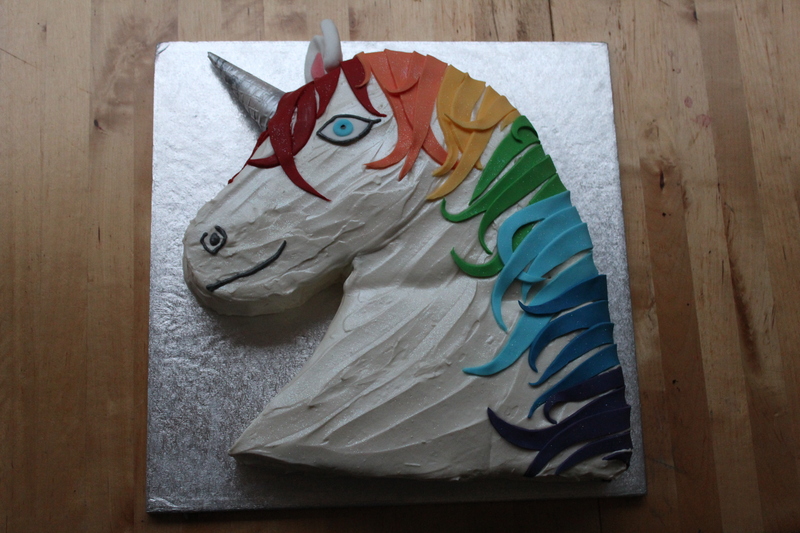 Glitter rainbow unicorn cake – complete!